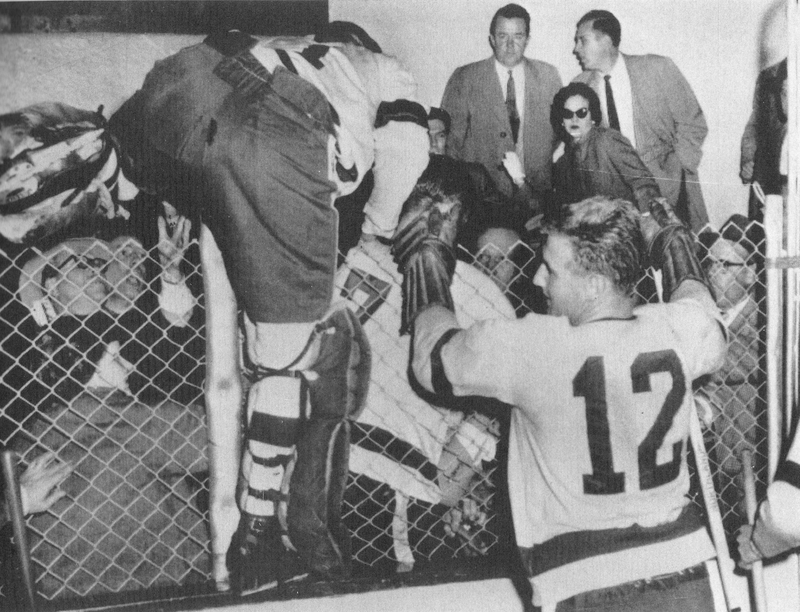 Renfrew’s Millionaires: Topping the pyramid is goaltender Bert Lindsay, just above (left) Fred “Cyclone” Taylor (cover-point) and Frank Patrick (point). Next row, from left, is Hay Miller (right wing), Lester Patrick (rover), and Bobby Rowe (left wing). Front (and centre) is Newsy Lalonde. The best hockey team that money could buy in 1910 played their home games in the little Ottawa Valley town of Renfrew, Ontario. The lumber baron and railway magnate M. J. O’Brien was the man with the cash, and it was his son Ambrose who launched the National Hockey Association in the winter of 1909. The league that would lay the groundwork for the NHL started with four teams, but quickly grew to seven, including Les Canadiens from Montreal. 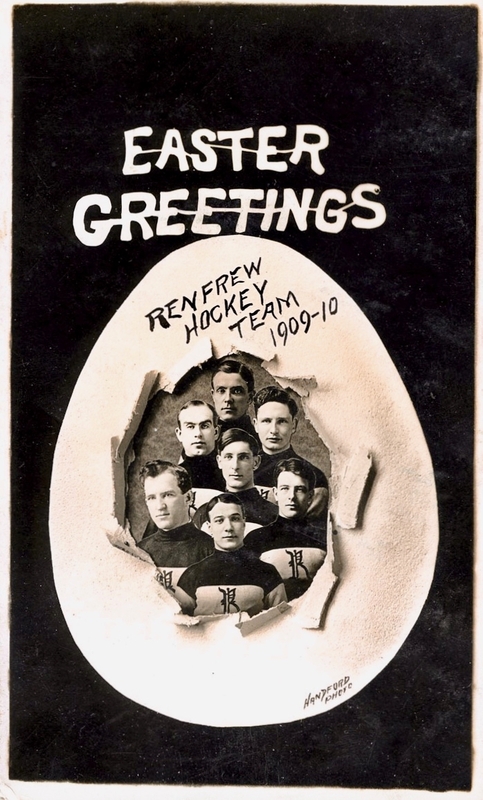 By the time the NHA schedule got going in early January of 1910, the roster of the Renfrew Creamery Kings was studded with stars, including the inimitable Fred “Cyclone” Taylor, and the brothers Patrick, Frank and Lester, from the west coast. In goal, they counted on Bert Lindsay, a Hall-of-Famer in his own right whose son, Red Wings’ legend Ted, would also make a name for himself. Dubbed the Millionaires, Renfrew added Newsy Lalonde to their line-up before the season was out. He led the league in goals, but prowess around the net couldn’t, in the end, propel Renfrew to the top of the NHA standings. Montreal’s Wanderers ended up there, thereby inheriting the Stanley Cup from the Ottawa Hockey Club. In March, Wanderers accepted a challenge from Berlin, champions of the Ontario Professional Hockey League, which Montreal won by a score of 7-3. Small solace though it might have been, Renfrew did prevail, later in March, in an exhibition game played at New York’s St. Nicholas Rink. Icing the line-up seen in the illustration above, the Creamery Kings defeated a combined Wanderers/Ottawa team 9-4. 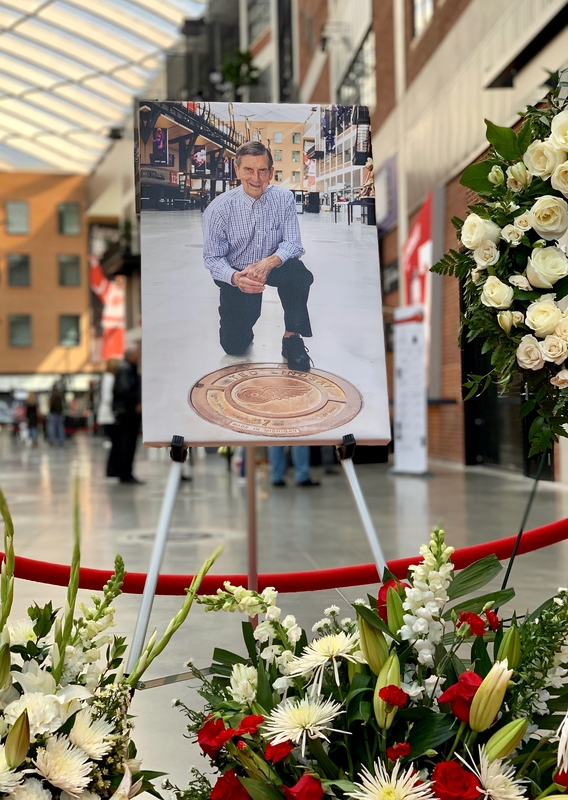 Members of Ted Lindsay’s extended family were on hand today to meet members of the public who came to pay their respects to the memory of the late Detroit Red Wings’ left winger who died on Monday at the age of 93. A private family funeral will be held tomorrow at St. Andrew’s Church in Rochester, Michigan. 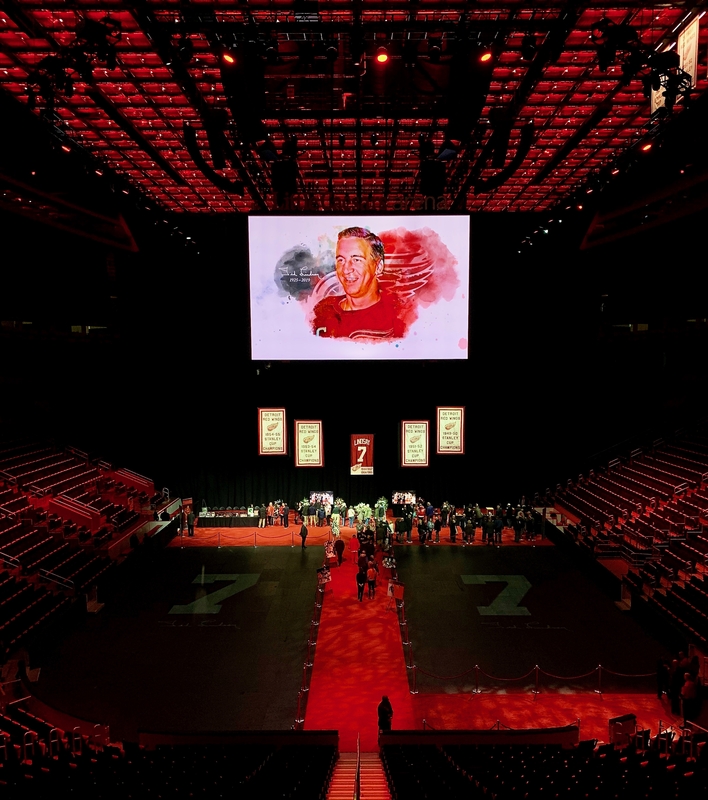 Today, the ice was covered at Little Caesars Arena, and the lights were dimmed. 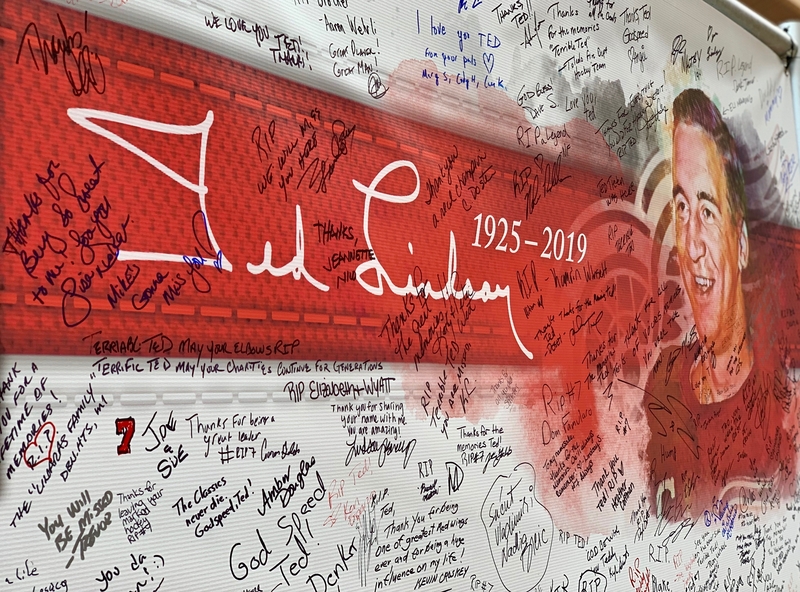 From 9:07 this morning through to 7:07 tonight, a steady file of fans and well-wishers greeted the family at centre-ice, where Lindsay’s closed casket lay in state under banners honouring his number 7 (retired by the Red Wings in 1998) and the four Detroit teams with which Lindsay won Stanley Cups. Flanking this tableau were artifacts from Lindsay’s distinguished career. Alongside the Art Ross Trophy (he won it as the NHL’s leading scorer in 1949-50) and the Ted Lindsay Award (rewarding, since 2010, the NHL MVP as voted by players) was the fabled Doniker Trophy — a latrine bucket seconded to service as a memento of a 1954 outdoor game that Lindsay’s Red Wings played an exhibition game against inmates at Marquette State Prison on Michigan’s Upper Peninsula. What’s Sup? : Looks like spaghetti and meatballs. 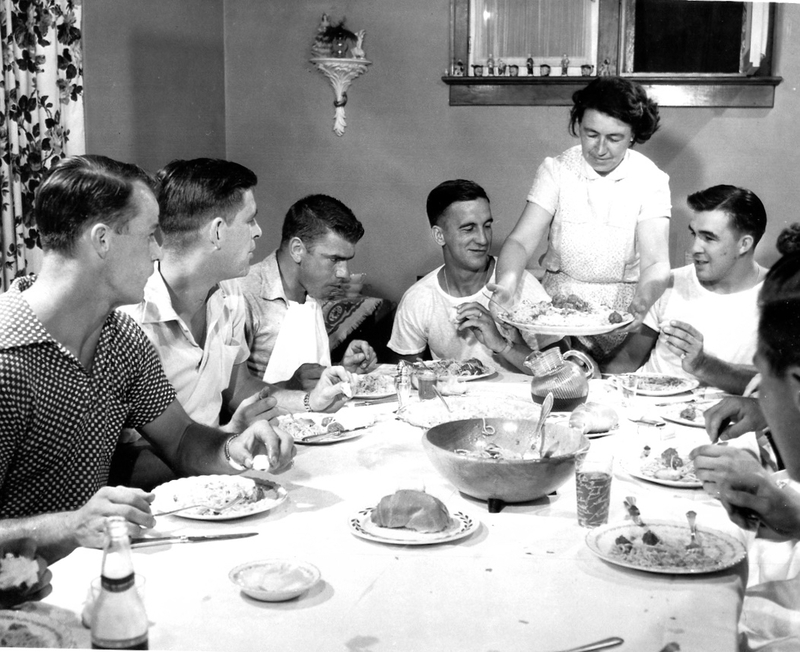 From left the Wings at the table on Lawton Street in the early 1950s are Gordie Howe, Bob Goldham, Metro Prystai, Ted Lindsay, and Marty Pavelich, with Ma Shaw serving. That’s Gordie Howe writing, or at least Paul Haavardsrud, who ghosted Howe’s memories into Mr. Hockey: My Story (2014). 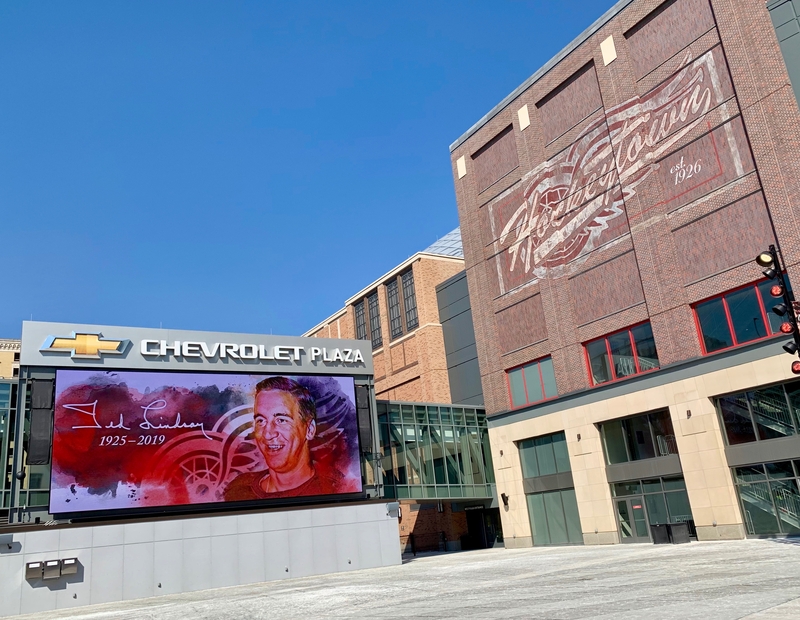 In the 1950s, Red Wings’ manager Jack Adams had his Stanley-Cup-winning stars housed with nearby neighbours of Detroit’s old Olympia on Grand River Avenue. 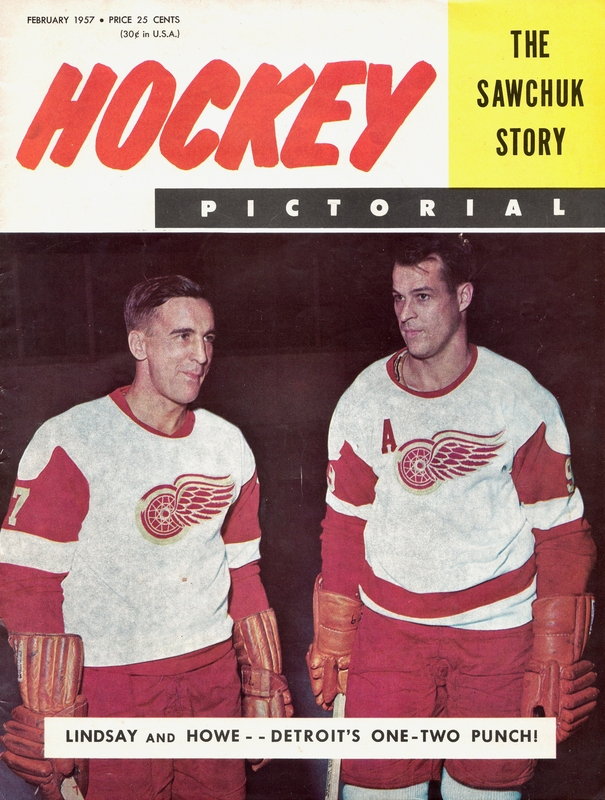 Howe’s memoir names some of them — Ma Tannahill and the Michaud brothers — though none was more renowned than Mr. Hockey’s own landlady, who welcomed a succession of Wings to her four-bedroom brick house a block over from the arena. “I was happy at Ma Shaw’s,” Haavardsrud’s Howe recalls. Minnie Shaw (néeSchunk) lived at 5721 Lawton Street which, if you Google over for a visit, looks very calm and green, if entirely houseless. (Where the Olympia stood is bleaker yet: barbed wire tops the fencing that defends the emptiness of the parking lot that used to be a rink.) What would Mr. Shaw, Asa, who was a real estate broker, make of the current view? It was after he died in 1938 that his widow began to take in hockey players. The pride of Pilot Mound, Manitoba, was her first, defenceman Black Jack Stewart. 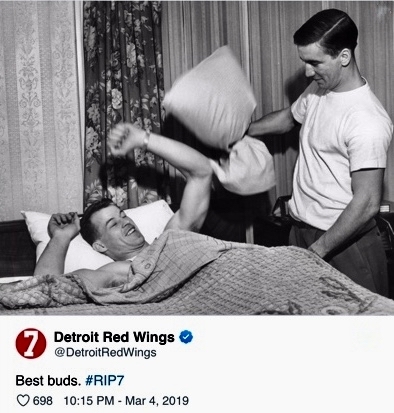 A memorial post from Red Wings this morning shows Howe and Lindsay cavorting at home at Ma Shaw’s. Gordie Howe got Bill Quackenbush’s room when he was traded to Boston, so 1949. 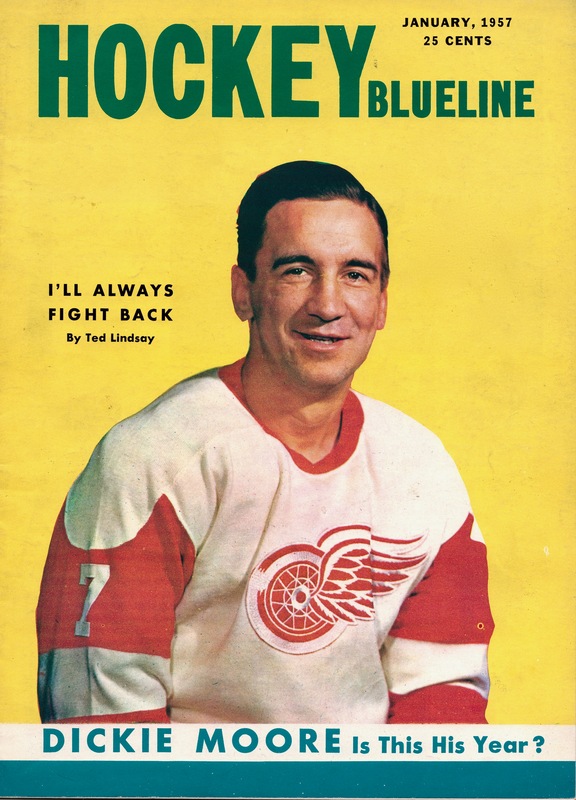 Stewart was still there; Ted Lindsay and goaltender Harry Lumley were the other roommates. When Metro Prystai moved in after arriving from Chicago in 1950, Howe’s memoir says that, with Howe, Lindsay, Red Kelly, and Marty Pavelich already in residence, four became five. Sid Abel was there for a season, ’39-40; Kelly stayed for 11 years. 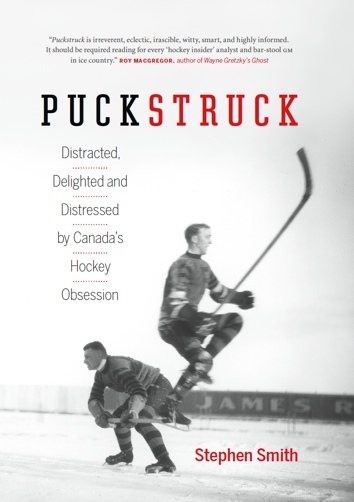 The Metro Prystai Story, a 2015 biography by Frank Block, notes other Ma Shaw alumni: Glen Skov, Alex Delvecchio, and Red Wings’ trainer Lefty Wilson. I’d like to know what Ma Shaw’s arrangements were: none of the literature I’ve reviewed mentions just where in her own house she was sleeping. Jack Adams had a man spying on the house to make sure the players didn’t violate his nightly 11 o’clock curfew. Sid Abel remembered this; also that Jack Stewart would watch the watchman and once he departed, around 11.30, the players would scuttle out to the Crystal Bar on Grand River Avenue. The owner would let them in the back door, and they’d drink in the basement — “would rap on the pipes when they wanted a waitress and beer,” as a later account described the players’ routine. Boarders paid about $10 a week at Ma Shaw’s. A normal day got going around 8.30 with breakfast, after which the players would walk to the Olympia for practice. Lunch was often at the Central Restaurant on Grand River Avenue, Ted Lindsay remembered, followed by pinball, and maybe a nap. What else? Marshall Dann recalled that when Howe was critically injured in 1950, reporters would telephone Ma Shaw for medical updates during the winger’s long recovery. By Metro Prystai’s account, the neighbourhood had its, quote, scoundrels, but if they came across a parked car bearing Canadian license plates, they’d leave it alone, out of respect for the hockey players. But when Red Kelly got a new Oldsmobile convertible, “pretty fancy,” in Prystai’s telling, his “fancy hubcaps” were gone the first night. After a game, the Crystal would be jammed with fans and hockey players alike. 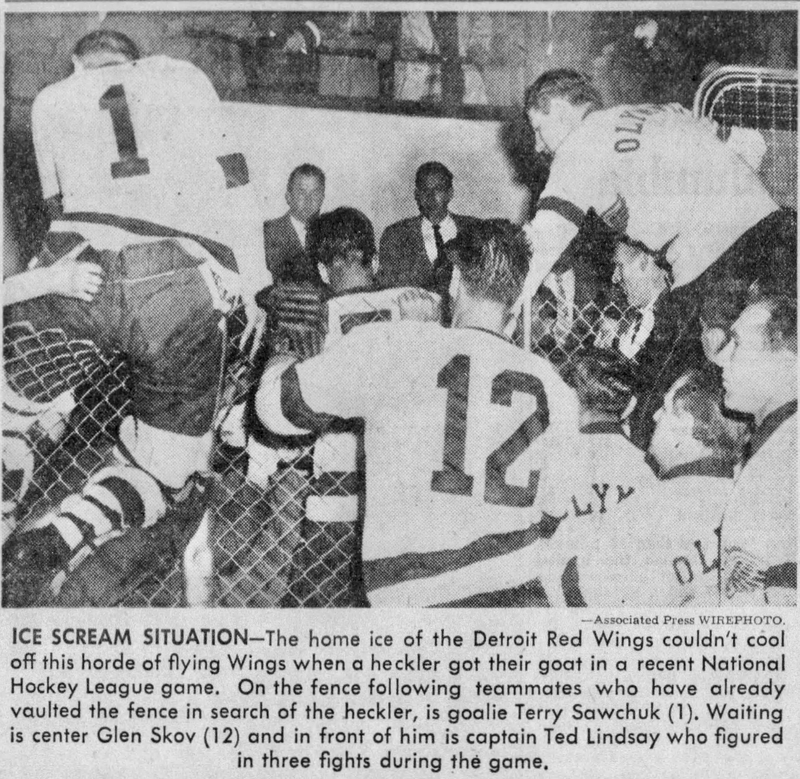 Sometimes the Wings would drive to Sid Abel’s home on Detroit’s east side for beers — or head home, to Ma Shaw’s, to review, replay, relive the night they’d had on the ice. She was practically a mother to the entire club. 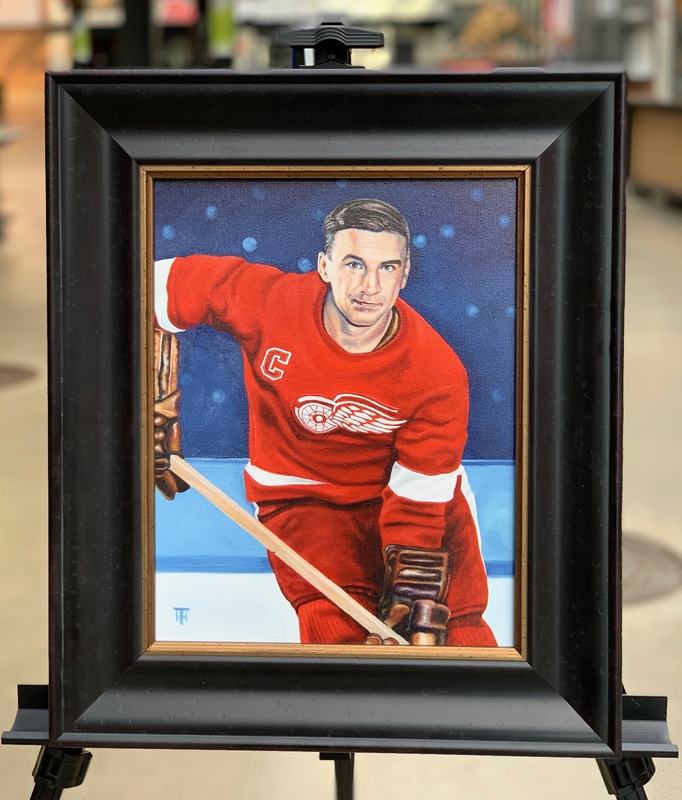 The news from Detroit this morning isn’t good: Ted Lindsay died overnight at the age of 93. For the Detroit Free Press’ account of his life and torrid, steer over here.